A priceless and irreplaceable 1,600-year-old Roman sarcophagus has been vandalised in Poundbury, Dorchester. 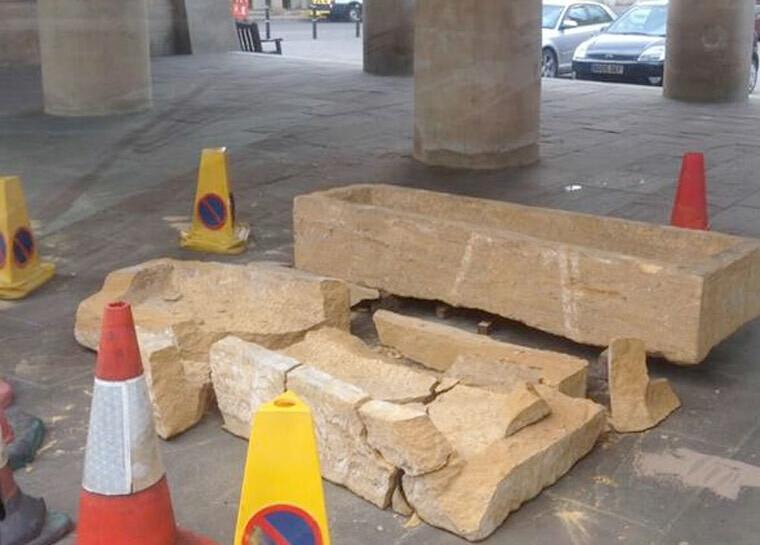 A 1,600-year-old Roman sarcophagus being kept in Brownsword Hall in Pummery Square at Poundbury has been damaged beyond repair. Th artefact, which had its lid removed and smashed sometime between 11pm on Saturday 15 April and 6am on Sunday 16 April 2017, was empty. PCSO Matt Barton, of Dorchester police, said: “Because of the age of the item, it was considered priceless and irreplaceable. Anyone with information is asked to contact Dorset Police at www.dorset.police.uk, via email 101@dorset.pnn.police.uk or by calling 101, quoting occurrence number 55170057253. Alternatively contact Crimestoppers anonymously on 0800 555111 or via www.crimestoppers-uk.org.